There is real pressure to invest in big data to stay competitive, but businesses often end up collecting as much data as possible without deriving valuable insights. Huge databases aren't practical or cost-effective. Instead, you can benefit from rethinking your approach to big data and focusing on qualitative data. There is a real push to invest in big data and collect information from as many touch points as possible along the customer's journey. However, this approach often results in huge datasets that represent a specific point in time without really helping you predict future behaviors. The size of the average business' dataset is becoming problematic. According to a recent study from Forrester Research, most companies analyze only 12 percent of the data they have. 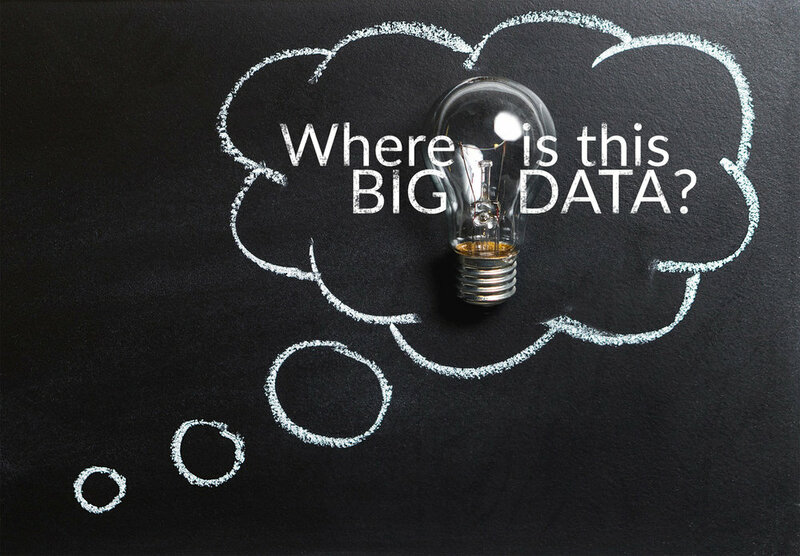 Gartner reports that only 27 percent of businesses say big data has been profitable to them. First, think about the reason you’re collecting customer data at all. Many companies set about to collect data without consideration of the end goal. Contrary to popular thought, data, by itself, has little value. Data that will help you build meaningful relationships with customers has considerable value IF you have what consumers are seeking to build relationships. In other words, your business isn’t going anywhere unless you have what they are looking for. A fabulous CRM system may help you acquire an endless amount of data on every customer’s past purchase behavior but is every customer the one you want to build a relationship with? Are the patterns of all of your customers’ behaviors really important if only 20% or less are who you need to build your business on? Brand loyalty is considered fleeting these days. There are so many look alike businesses that commoditization quickly sets in. Consumers also window shop at both bricks and mortar and online stores and then check Amazon to see if they can get it for less, all eroding margins and making loyalty transitory at best. Consumers connect with brands on an emotional level. This aspect of the customer experience is crucial to the success of your business and is probably a blind spot if you only rely on quantitative data. We know that an individual’s loyalty to a brand comes with alignment of their values with the brand’s. Most successful brands have made a commitment to a set of values such as healthfulness (Whole Foods), design (Apple), competition (Nike), empowerment (Under Armour), energy tech (Tesla), nostalgia (Vans), equal rights (MAC), natural beauty (Dove), adventure (The North Face), community (Lululemon) and the list goes on and on. Purchase data won’t tell you anything about a customer’s values or their emotional connection. However, qualitative data will. The term “thick data” is being used to represent the more holistic picture of consumers that is gained by combining big data (quantitative) with qualitative data. Qualitative data has been difficult to acquire by both market research firms and large CRM systems. Research firms typically recommend focus groups, which have their own set of problems or small consumer panels. Neither research companies nor CRM systems have been able to build large datasets consisting of unstructured text that comes from forms or surveys nor have they been able to append that information to their databases so that both quantitative and qualitative data can be used simultaneously to segment customers. This is a problem we’ve tackled at Oomiji and have developed both the ability to acquire and analyze unlimited amounts of conversational text and append it to database records so that best customer segments can be identified and responded to. Oomiji can help you get more out of big data by integrating this qualitative aspect into your analysis. We offer a comprehensive platform designed to gather insights from qualitative and quantitative market research (or forms), deliver a CRM solution so you can interact with your audience, and provide you with email marketing functionalities so you can directly get value out of your analytics by sharing the right message at the right time. Contact info@oomiji.com to learn more or arrange for an online demo.